24 Hot Cocoa K-Cups for Keurig Brewer just $8.92 Shipped! 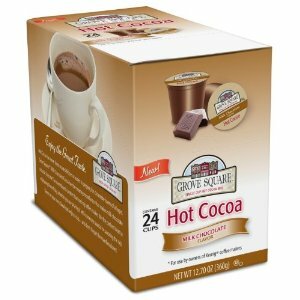 Amazon has Grove Square Hot Cocoa Cups, Milk Chocolate, Single Serve Cup for Keurig K-Cup Brewers, 24-Count for just $8.92 shipped when you checkout with Subscribe & Save! Yummmmm! S&S can be canceled at anytime after your order ships from the “My Account” tab.